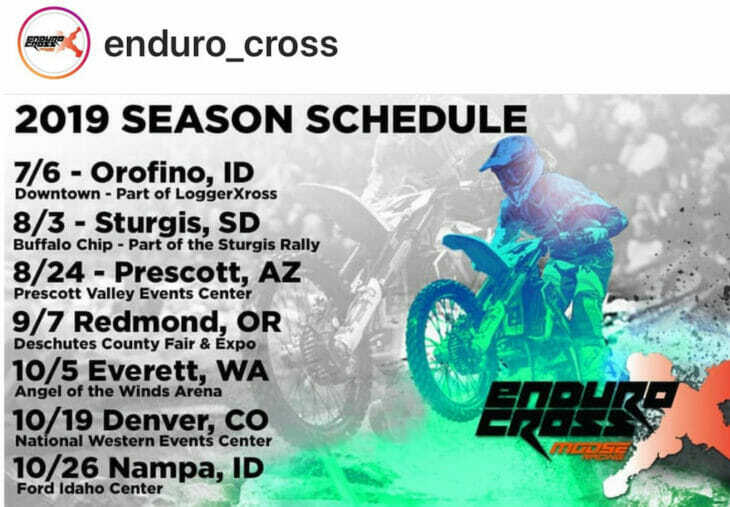 The new promoter of the AMA EnduroCross Championship, WHR Motorsports, has released the racing schedule for 2019. There will be seven rounds, two of them at all-new venues, including the Buffalo Chip during the Sturgis Rally week. The other new location will be downtown Orofino, Idaho, as part of the LoggerXross Series. The Orofino race will mark the opening round of the championship on July 6. The final round will be held in the Ford Idaho Center in Idaho, October 26. The 2019 AMA EnduroCross Championship schedule will be made up of seven rounds. Click here for all the latest EnduroCross racing news.